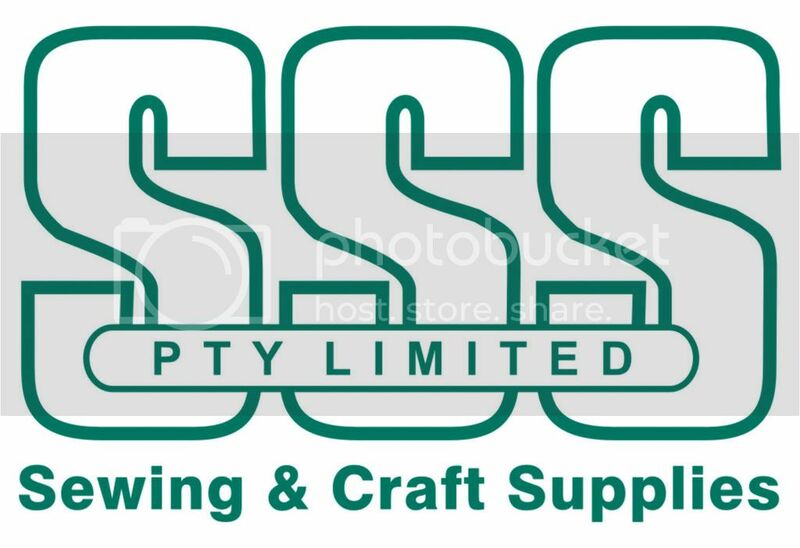 If you are close by to Wagga Wagga today it would be great if you could head on down to the Spotlight store in Baylis Street between 1.00 and 3.00. I will be in store demonstrating some of the newer Fiskars tools and creating some make and take's with the Cloud 9 - Finley's Estate Range of papers and Embellishments. AS always it will be loads of fun and you get to have a play with the Fiskars range................ hope to see you there!!!! For store times see the list on the righthand sidebar on here. Kylie Tout shall be in Wagga Wagga Spotlight and Tamara shall be in Townsville Spotlight. Just letting you all know that we have another Fiskars Demonstration coming up in April in Wagga Wagga , New South Wales. One of our very talented Ambassadors....KYLIE TOUT ...shall be facilitating this Fiskars Demonstration on Thursday April 16th between 1-3pm in Spotlight Wagga Wagga. So mark this one on the calendar.....as I know we haven't had anyone do a Fiskars Demonstration in that area for awhile......and what fun you shall have with Kylie! Kylie will probably come on here closer to the date to let you know what products she'll have with her......lots of NEW goodies........yummo! This is a great chance to learn about the FISKARS TOOLS...both old and new.....ask questions....try product......and most of all HAVE FUN! I have loved to read books all sorts, fiction, non fiction, magazines, art and craft books and so on. I loved the whole fantasy of entering into a magical land through a wardrobe, I can remember even hoping inside my own wardrobe hoping I would enter into a magical land myself. I also love Harry Potter, have read them all and love the movies too. 2 days and I was finished, thank goodness! As I was close to a book store and I was able to purchase the next 3 books in the series. I downloaded the un finished version of Midnight Sun I just loved it. Twighlight is a modern day love story between a teenage girl and a VAMPIRE. The ultimate forbidden love affair between Mortal and Vampire. There are over 17 million copies in print and it has just been voted in as Amazon’s “best Book of the Decade” so far. Cloud 9 – Wild Honey – Are you diggin’ it Mrs Brown? Thanks for taking the time to read this post – have a great day! 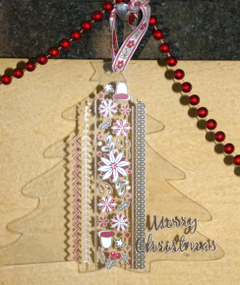 Another Christmas Tree to share - thought I would share with you all the scrappinclearly acrylic Christmas Tree Album. The album has 4 pages so I have used the pages to create Xmas decorations to hang around the house. 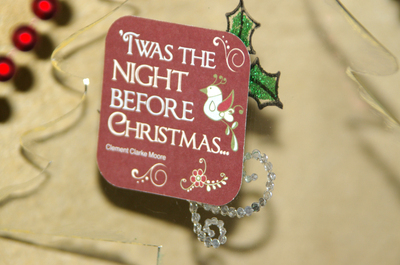 You could hang them on the mantlepiece, or on the tree anywhere really to get into the christmas spirit. I have used both sides and created each side different. So you have a diferent view to each side. 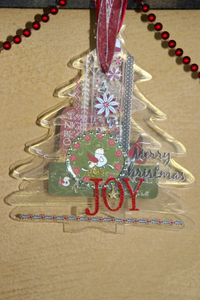 The CLOUD 9 Xmas Joy pack had everything I needed - the papers and the rub ons where perfect :0). I added a few extra Xmas blings to the trees. Hi to all, Kylie here, first of all I would love to wish everyone a Happy Easter, the Easter Bunny will soon be upon us :0) my children are already picking out what eggs they would like. 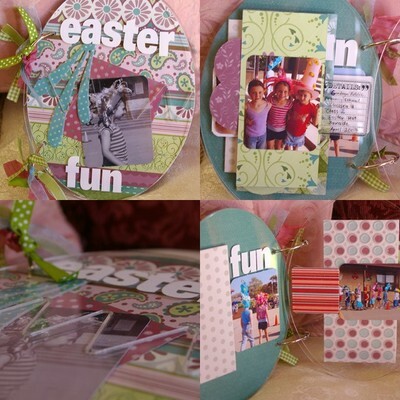 I decided to share a little Easter project I created using my Acrylic Easter Egg Album. My little girl Chelsea had so much fun last year decorating her Easter Parade hat, I decided to dedicate to this album to her parade. I have used the Heid Grace Urban Acres Blvd range of papers which are just divine the embossing and felt papers are fantastic and beautiful to work with. 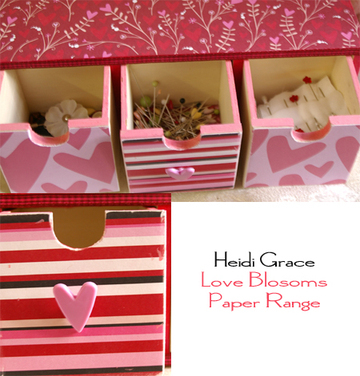 I have also incorporated Heidi Grace Woodland Journalling mounts and Wildflowers Shapes- even though these are totally different ranges they complimented each other well. I love how the album came together and I am going to get Chelsea to journal in her own handwriting using a permanent marker which look great on the acrylic. I hope you like this album and thanks for taking the time to take a peek!